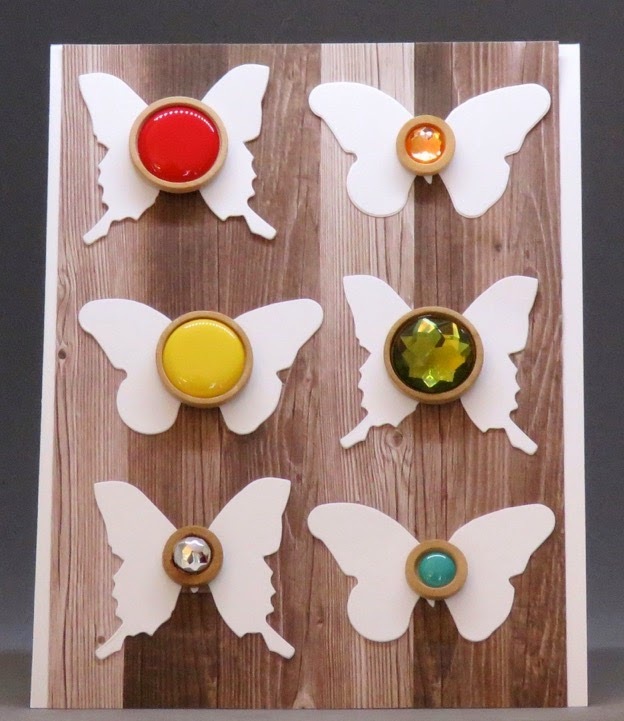 Today I’m sharing a simple butterfly card featuring Hampton Art / Jillibean Soup Wood Sprinkles. They are so pretty that I wanted them to be the main focus. Love, love, love your card. The buttons look like door knobs and as soon as I saw them the idea light bulb went off in my head. By taking the basic construction of the design and utilizing it on another platform (mainly my bathroom cupboards) would surly be a great inexpensive way to add so charm to them. Thanks for the inspiration.